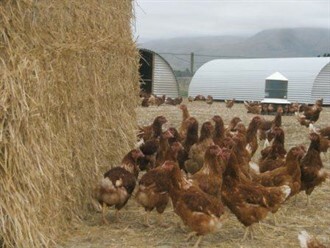 We are the only independently owned hatchery/business in New Zealand incubating & hatching day old Shaver & Cobb chicks and rearing free range hens to Point of Lay (18 weeks). We offer a unique service, delivering to most South Island destinations, endeavouring to meet the needs of our customers. The Brown Shaver Commercial layer is one of the best egg layers available, and we welcome orders from both backyard owners to larger free range egg producers. All Heslip's Hatcheries stock are fully vaccinated, non-debeaked and free ranged. 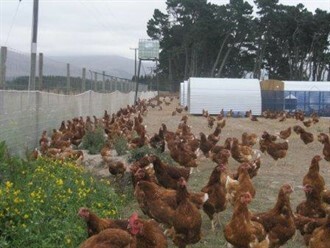 Our controlled pullet rearing operation ensures birds are guaranteed disease and parasite free when sold at Point of Lay. Heslip’s Hatcheries is proud to have the support and assistance, when required by Neil Christensen BVSc (Registered Specialist in avian medicine) - Avivet Ltd.